This month, we highlight the work being done around the world to protect, restore and promote sustainable use of our forests and other terrestrial ecosystems. MARKETING AND COMMS - What’s one way to engage a worldwide audience in a global ecological imperative in a matter of hours? 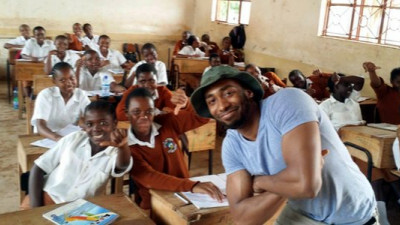 Recruit someone like Prince Ea to deliver the message. COLLABORATION - As we approach the world’s 21st year of international climate change negotiations (let that sink in), it has never been more critical for citizens to begin demanding and building climate action. 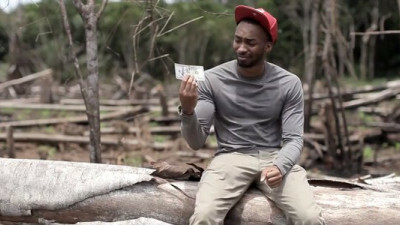 That is exactly why Prince Ea has teamed up with Code REDD's Stand For Trees campaign to create an unprecedented reflection on the consequences of our climate inaction, and an inspired vision of collective change. 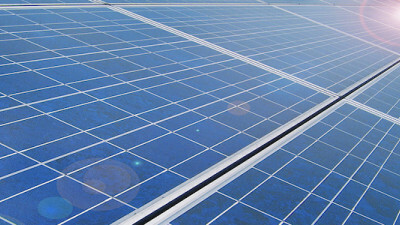 CLEANTECH - Apple has announced plans to invest in a new Chinese solar power project and help preserve some 36,000 acres of forests in the eastern United States.The tech giant is partnering with solar company SunPower to build two solar power projects totaling 40 megawatts (MW) in China — more than the amount of energy consumed by Apple’s 19 corporate offices and 21 retail stores in China and Hong Kong.The projects are expected to provide up to 80 million kilowatt-hours per year while also protecting the ecosystem. They will feature SunPower's "light-on-land" approach to solar photovoltaic power plant design and construction, which allows pasture farming to continue while power is generated. 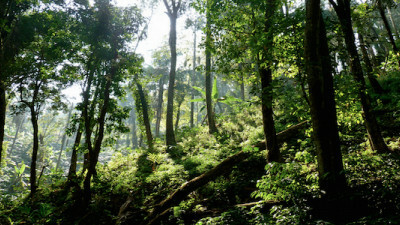 BEHAVIOR CHANGE - In its new position paper published today, Halting Deforestation and Achieving Sustainability, the Rainforest Alliance addresses the recent surge in deforestation-free pledges. Timed to coincide with an Innovation Forum event in Washington, DC on “How Business Can Tackle Deforestation,” the paper argues the deforestation-free trend is an exciting development, but needs definition, focus, and accountability to deliver lasting benefits for forests, people and the planet. CHEMISTRY, MATERIALS & PACKAGING - Barely a week in and April could very well shape up to be ‘Zero-Deforestation Month’ if the multi-sector momentum around addressing the issue continues. So far, we’ve seen a new commitment from Yum! 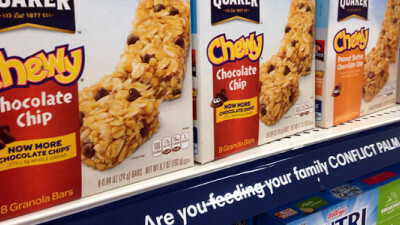 BEHAVIOR CHANGE - In recent years it’s become common knowledge that companies using palm oil in their snack foods or publishers sourcing paper fiber from Indonesian pulp mills may be at risk of contributing to deforestation and labor rights abuses. BEHAVIOR CHANGE - This week, stakeholders continued to take action to pressure companies into turning over a new leaf when it comes to their sourcing practices — around what has become known as Conflict Palm Oil. BEHAVIOR CHANGE - REI has announced its support of the 100-year anniversary of the National Park Service in 2016 through a multi-year, multimillion-dollar partnership with the National Park Foundation, the official charity of America’s national parks. 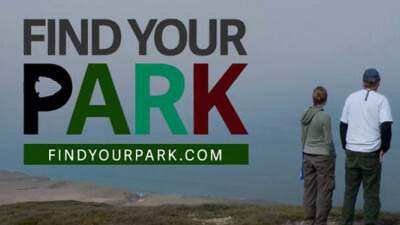 The partnership kicks off this week with the launch of Find Your Park, a public awareness and education campaign celebrating the milestone centennial anniversary of the National Park Service and setting the stage for the next 100 years. SUPPLY CHAIN - Third-party certifier SCS Global Services has announced that Uttar Pradesh Forest Corporation (UPFC) — which manages all aspects of forestry operations within the State of Uttar Pradesh, located in northern India bordering on Nepal — has met all of the requirements necessary to earn certification for responsible forestry under the Forest Stewardship Council (FSC) standard.The Forest Management Certification encompasses 13 forest divisions covering a total forest area of 349,296 hectares. 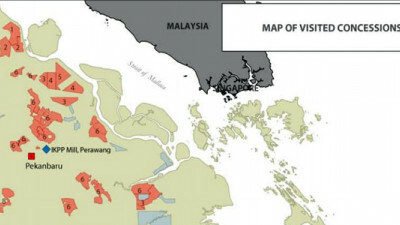 This area represents roughly 40 percent of the FSC-certified forest area in South Asia. 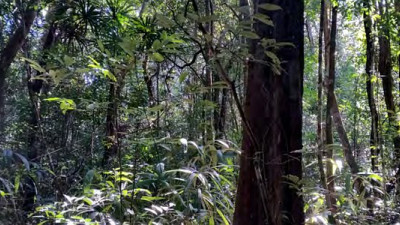 CLEANTECH - The world’s besieged forests have found friends in high places — in this case, very high. 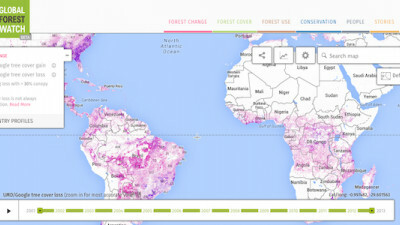 Remote-sensing satellites keep constant watch from hundreds of miles above the earth, collecting data that — when combined with information sharing and human networks around the world — can be used to preserve the world's forests, which are disappearing at an alarming net loss of 12.8 million acres each year (an area the size of Costa Rica).Although deforestation has slowed slightly since the 1990s thanks to conservation efforts, the situation remains dire. ORGANIZATIONAL CHANGE - Clif Bar has released the second installment in its Farmers Speak series. 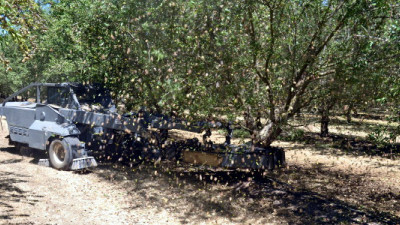 Where the first centered on organic oats; the second installment “gives voice” to organic almonds — a key ingredient in 17 products across the company’s CLIF®, CLIF® Organic Trail Mix, LUNA® and CLIF® Kit’s Organic Fruit + Nut Bar brand bars.The video tells the story of Burroughs Family Farm — which grows nearly 1,000 acres of organic almonds in Merced County, in California’s Central Valley — and the family’s decision to make the bold transition from conventional to organic farming practices. 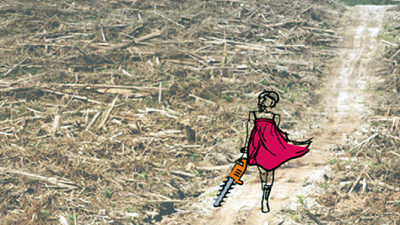 SUPPLY CHAIN - On top of the fact that palm oil production — the biggest driver of deforestation in Southeast Asia and parts of Africa and South America — is responsible for the rampant release of carbon emissions, the destruction of vital habitats for endangered species such as orangutans and the Sumatran tiger, and the production of methane-rich wastewater, a new report from the Union of Concerned Scientists (UCS) links unsustainable palm oil production practices with significant air pollution in Southeast Asia in the form of devastating haze. 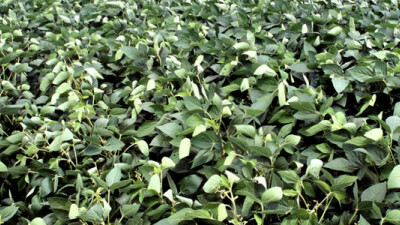 BEHAVIOR CHANGE - After an often-heated six years of confrontation between activist group ForestEthics and paper and packaging giant 3M, the conflict finally came to an end yesterday as 3M announced its new paper and wood pulp sourcing policy. ForestEthics, which has been critical of the corporation’s sourcing policy, has applauded its new commitment to tracing its virgin wood fiber and ensuring it comes from renewable sources. THE NEXT ECONOMY - Thick clouds of smoke, a suffocating heat. 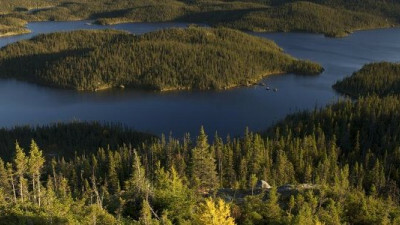 Forests, lush and green and bustling with all types of life, reduced to burned land and ashes. 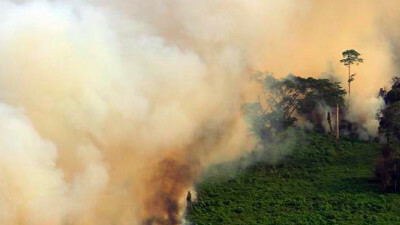 In Indonesia, in the 1997-98 fires, approximately 10 million hectares of rainforest, an area the size of Switzerland, were affected. The regional economic costs of the fires were estimated at $9 billion. These fires were set deliberately, by palm oil estates, to clear land for rapid and cheap expansion of their plantations, and to hide timber poaching and land theft. 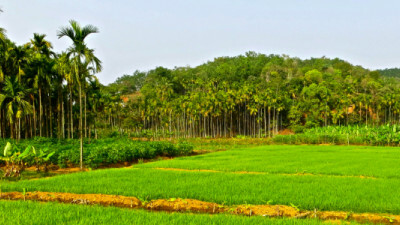 SUPPLY CHAIN - Only six major companies and one investor — Danone, Unilever, Nestlé, Procter &amp; Gamble, Kao Corp., Reckitt Benckiser Group, and financial services giant HSBC — have comprehensive policies in place to protect tropical forests, according to a new ranking by Global Canopy Programme (GCP). 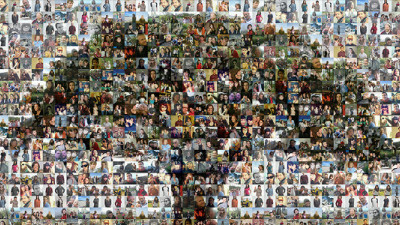 MARKETING AND COMMS - Code REDD announced the launch today of Stand For Trees, the first consumer campaign that uses the power of social media and crowdfunding to enable users to take action to reduce deforestation and curb climate change.Individuals are asked to purchase $10 Stand for Trees certificates, which each prevent one metric tonne of carbon dioxide (CO2) from being released into the atmosphere while protecting threatened ecosystems that sustain forest communities and numerous endangered species. 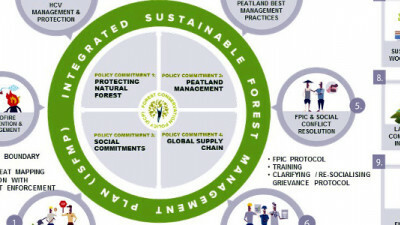 ORGANIZATIONAL CHANGE - Today marks two years since we launched our Forest Conservation Policy (FCP) and the anniversary is particularly significant as the Rainforest Alliance is publishing its independent evaluation of our progress. 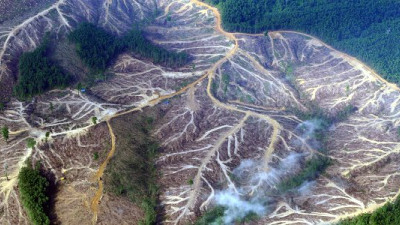 I believe this may be the first time that any company attempting to implement ‘zero deforestation’ in its supply chain on such a scale has submitted its programme to independent third-party evaluation. BEHAVIOR CHANGE - On Wednesday, the two-year anniversary of the launch of Asia Pulp &amp; Paper’s (APP) Forest Conservation Policy (FCP), an unprecedented initiative aimed at defining a new standard and business model for achieving a deforestation-free paper supply chain, Rainforest Alliance (RA) released the results of its evaluation to gauge the paper giant’s progress on its commitments. 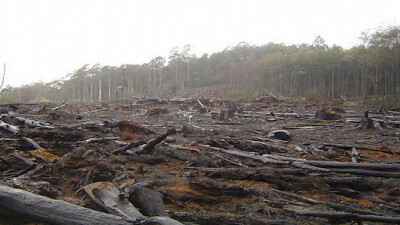 BEHAVIOR CHANGE - The devastating effects of deforestation and efforts to end it are at the forefront of the sustainability conversation, and global corporations across a variety of industries have responded with zero-deforestation commitments. And, as both PepsiCo and Asia Pulp and Paper have learned in the last few weeks alone, there are plenty of NGOs and other stakeholders on hand to hold companies accountable if it appears they aren’t following through. 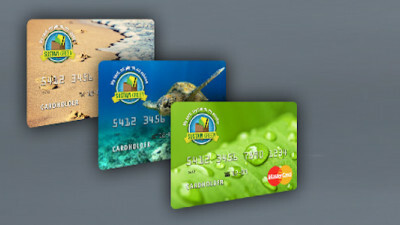 PRODUCT, SERVICE & DESIGN INNOVATION - Sustain:Green has created a new biodegradable MasterCard® rewards card, which provides carbon offsets for everyday purchases — specifically, helping to fund Nike’s Mata no Peito rainforest preservation projects in Brazil.